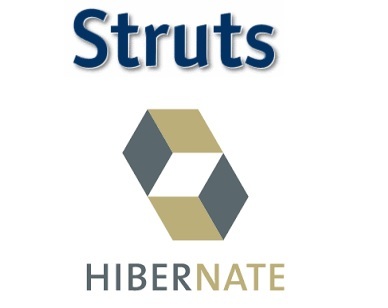 STRUTS - Struts is an open source framework given by Apache software foundation. Struts is the frame work, used to develop web applications for java with mvc2architecture. HIBERNATE - Hibernate is the ORM tool given to transfer the data between a java (object) application and a database (Relational) in the form of the objects. Hibernate is the open source light weight tool. Hibernate is purely for persistence (to store/retrieve data from Database).